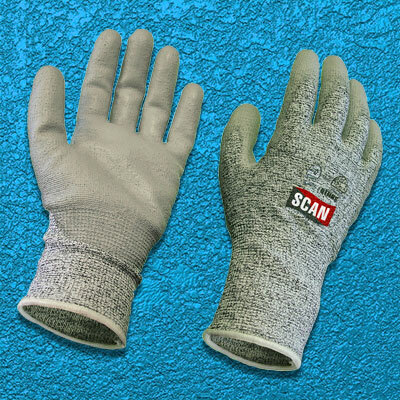 These Scan Grey Polyurethane Coated Cut 5 Liner Gloves are highly cut, tear and puncture resistant, with excellent grip and flexibility. Their palms and fingers are coated with Polyurethane and have a knitted, seamless liner. The gloves are lightweight, at only 13g per glove.